To celebrate the 250th anniversary of the State Hermitage Museum in St Petersburg, the British Museum loaned the sculpture of the river-god Ilissos from the West pediment of the Parthenon. Neil MacGregor, Director of The British Museum shares some of the history of the long standing friendship between the first great museums of the European Enlightenment. 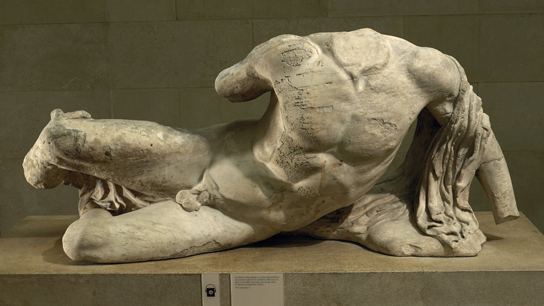 The river-god Ilissos from the West pediment of the Parthenon is on display at the State Hermitage Museum, St Petersburg, from Saturday 6 December 2014 until 18 January 2015.